Welcome to the 251st, Inspire Me Tuesday. I am always looking for inspiration and you guys are always so eager to share all of your talent. We had a ton of great projects and links this past week. Here is a small sample. I Am Not A Robot - word caption. This is really so hard to fill out so you can leave a comment. There is a way to just check the box that you are not a robot and not have to type the words. Please leave the word caption out. I love, love, love this nursery that Vintage Finds created for her precious baby girl that will be here soon. Look at that antique mirrored closet door. There is one on the other side too. AMAZING. Life on Ely St. shared her fabulous tiny laundry. It is so small she has to have a stacked washer and dryer, but look at the charm. Love that curtain she added to the bottom of the washer. Go see everything, so FABULOUS. Also Amanda is a brand new blogger, this is her second post, so be sure to go by and show her some blogland love. Pam and Hubby at diy Design Fanatic are the most talented couple ever. They are redoing a mountain cabin to die for. Just look at this pantry they created, complete with rolling cart for extra workspace. LOVE, LOVE, LOVE. Go read all about it for sure. If your budget is like mine most of the time - $0 - this is definitely for you. Pallets are free and they do have fabulous wood. 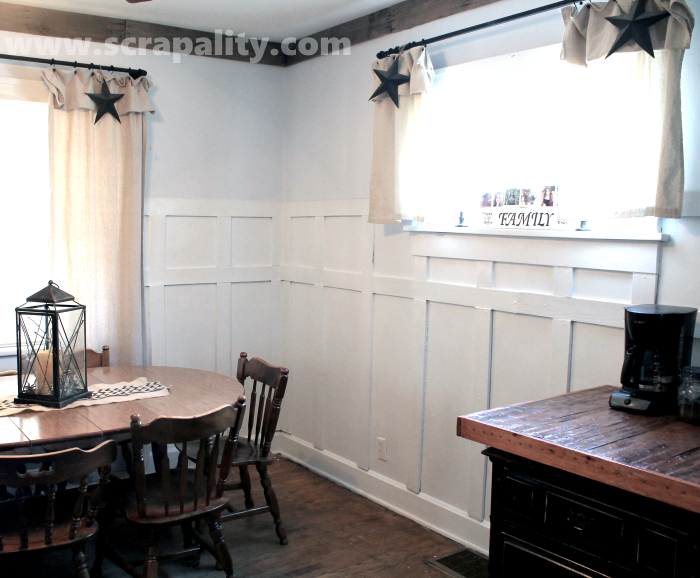 Ever thought about using that wood for wainscoting. Well Scrapility did. How STUNNING is this. Isn't this a beautiful desk and chair. 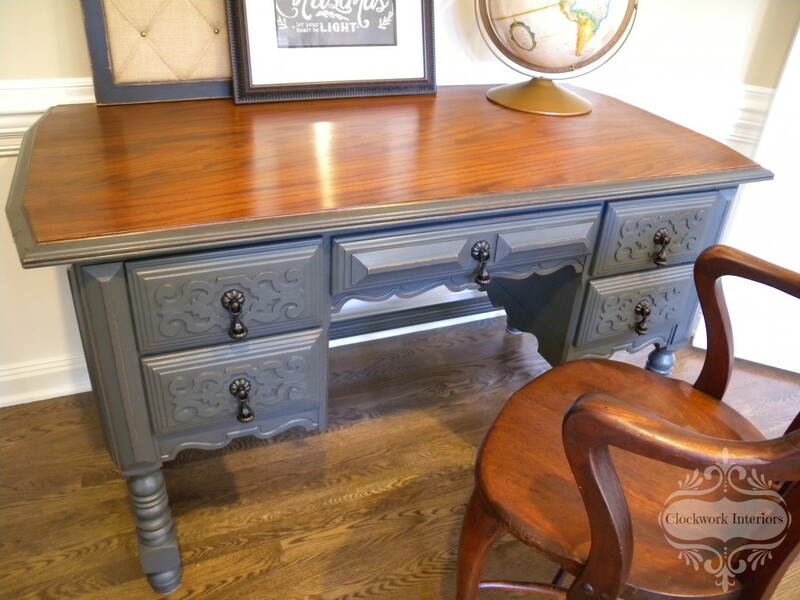 Be sure to go see Clockwork Interiors to get all the details on this WONDERFUL makeover. I absolutely have to do something with our closet and this just spoke to my heart. The Laundry Can Wait redid this closet for her man. It is stunningly BEAUTIFUL. I wonder if she will come redo mine. I fell in love with this gorgeous landing that Our Adventures In Home Improvement shared. Her husband removed the carpet, did fabulous risers and treads and then topped it all off with this amazing landing. GORGEOUS. Thank you, Marty, for the party! Love the features! love that wonderful chippy closet door! thanks so much for hosting, Marty! Wonderful features! It seems everyone is starting out the New Year with lots of inspiration for all of us. Thanks for hosting, Marty. Great features, Marty. I'll be sure to check them out. Thank you for hosting! From the closet to the nursery, and everything in between, your features are awesome. Thanks for hosting the party each week, Marty! Marty, beautiful, beautiful, beautiful features - all of them! Thank you for hosting such a fine display! I have also noticed the "I am not a robot" and wondered if it was somthing Blogger did automatically, or if individuals had to set it up. I hope it's not automatic, it is a sort of pain. Have a great week, Marty. I like that wood landing, it is beautiful. Thanks for hosting and have a good week. Thanx for the party Marty! I will have to go and look at that wood landing. We are getting ready to tackle ours. Marty I am glad that you mentioned the Robot Issue. I am Wordpress...but I did see a Blogspot blogger say in a post not too long ago that this was done on on the Blogspot end and that the individual bloggers could change it somehow. Great features Marty...thanks for hosting! hi Marty! Looks like another fabulous party, thanks so much! Thanks for hosting, Marty, and Happy New Year to you! Hi Marty, What great features, thanks so much for hosting this fun party each week! Great features! Thank you so much for hosting this terrific party. Marty, you have the prettiest features, especially that wooden landing, it truly is amazing! Thanks for hosting and hope you have a sweet week. Thanks so much for hosting....you have some wonderful features this week. Thank you for the great pary, Marty! Have a great week! love the laundry and the closet and the landing! nice :) Have a great week and appreciate your hosting us Marty!! hi marty, thanks for hosting, I'm still plugging away at my office and thought I'd share an update. hope you're doing well. Thank you so much for featuring my nursery! Have a wonderful week! Thanks for featuring my vintage style pantry Marty! Thank you so much for hosting Marty! Some really good features and links. Thanks for hosting! I always ignore the "robot" thing when I see it on blogs and push "publish comment" and it publishes anyway. I see it is on mine and I can't find a way to shut it off. I have "word verification" as "no" but don't see anything else to adjust. Thanks for hosting, Marty and this weeks features are terrific!! Yes, Pam and her hubby are truly a great team...loved all of the great features here today!....Thanks for hosting Marty! Have a wonderful week! Thank you for sharing these great posts. I really love how neat the closet is organized. Well done job in deed. Another one of my favorite is that wooden diamond, what a beautiful landing! Great posts. So happy to join this wek, Marty, you are a dear. The Robot thing sprung up pretty quickly on Blogger. Many have said that it just appeared, and on my blog, too! You can skip the click on Robot and just hit Comment. Hopefully it will go away as fast as it came. Marty, fabulous features this week. Thanks for sharing them! Thanks for the party Marty. It was fun to join in this week. That laundry room feature is just my style...wish that we owned our home, it has a lot of potential for that type of look. 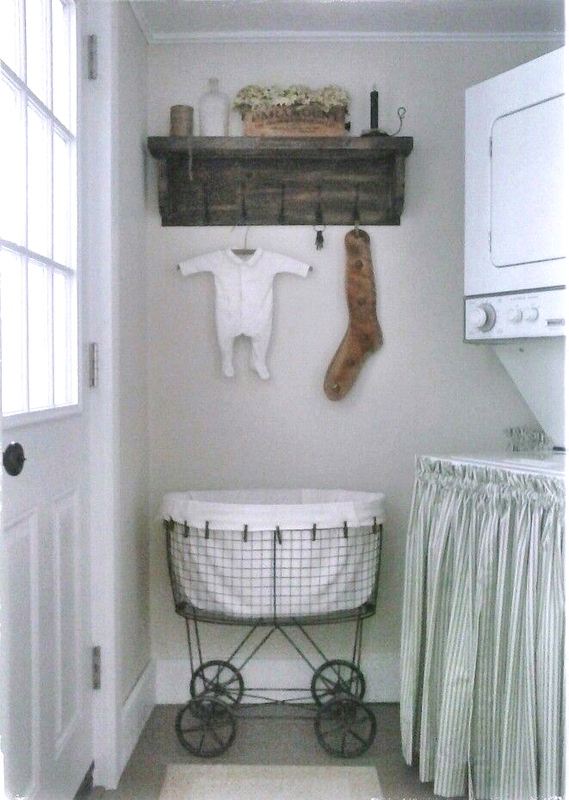 What a great display...love the laundry rooms! As always, it is an awesome party! Gorgeous features ... I love that landing! Thanks so much for hosting! Hi, Marty. Happy New Year to you! Thank you so much for hosting your, always wonderful Party! So much great Inspiration and Beauty! I love that desk! I hope you are having a great week! I was just thinking the same thing about the bathrooms Marty, time for me to get busy. Thank you for another week of inspiration and great features.